Doors are impressive, carrying out a number of functions to not only secure your home from trespassers but to ensure indoor comfort, take advantage of natural light and to boost curb appeal as well. As doors are regularly used, they are designed to withstand constant wear and tear. 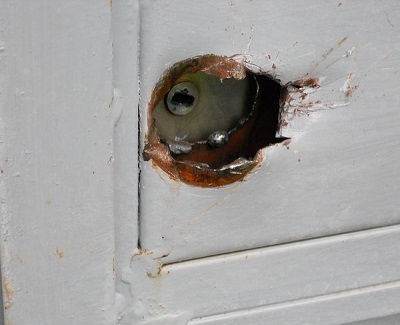 Most of the time, resulting problems are minor but there are instances when door issues have to be addressed more urgently than others. Your entry and patio doors are your home’s first line of defense against trespassers, working together as one to restrict access into your property. No matter how many entry points you have, there’s only one “inside” and one “outside,” after all. If an exterior door has a busted lock, it will be an easy target for trespassers as it won’t put up much of a resistance. And frankly, trespassers only need to exploit one point of entry to get into your home. 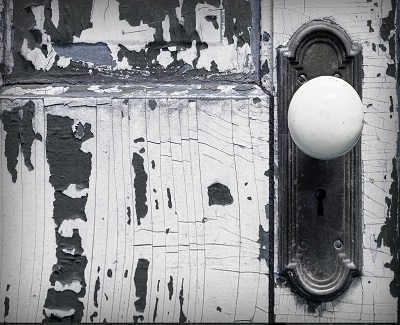 Make it a point to check all of your exterior door locks to ensure all are working as they should. Found a broken lock? Get it fixed as soon as possible to minimize time you’re leaving your home vulnerable. Unless you have a sliding door, the only things keeping your door attached to its frame are its hinges. As the means that make it possible to swing doors open and shut, hinges usually come in twos or threes depending on how big a door is. However, just one hinge needs to give out before your door becomes a big problem. 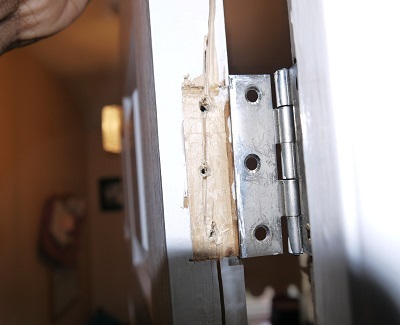 Repairing a faulty hinge is generally a simple task but as door removal may be required, it may be safer to entrust the job to a professional. 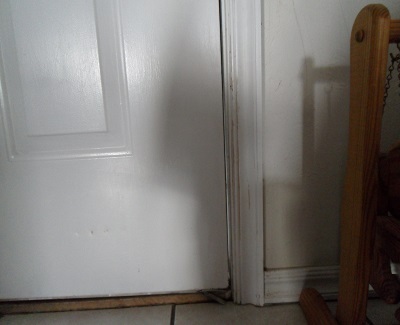 Sometimes, it’s not the hinges that become problematic, but the door frame itself. A warped or bent frame keeps a door from forming a tight fit when closed, sometimes even completely preventing closure in severe cases. And when a door can’t close, it becomes useless. Like with faulty hinges, repairs for warped frames will require the removal of the entire door panel, a task best left to professionals to avoid complications. Fully functioning locks, hinges, and frames won’t be of much good if your door itself is flimsy. Wooden doors, in particular, are likely to develop rot because of constant moisture exposure, greatly weakening structural integrity. 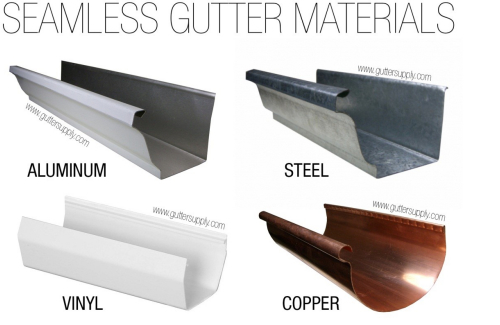 Vinyl and PVC doors, on the other hand, can get brittle over time, while metal doors may eventually succumb to rust. Minor signs of deterioration can be patched up easily but more serious damage will require so much more work that it may be more cost-effective to opt for a replacement instead. Termite damage isn’t always visible so it can go undetected until your door simply falls apart. But while it mostly affects the wooden parts of a door, damage from termites can also severely weaken other parts of the door not made of wood. As soon as you notice any signs of termites around your door, call a professional immediately and get your door checked. Termites can also affect other parts of your home so you might want to call pest control as well for good measure. Justin Bartley began in the home improvement industry at age 9. Now president and owner of Next Door and Window, he believes every project has its own story to tell and is always eager to share what he experiences on the job. For updates, catch him on the company blog! 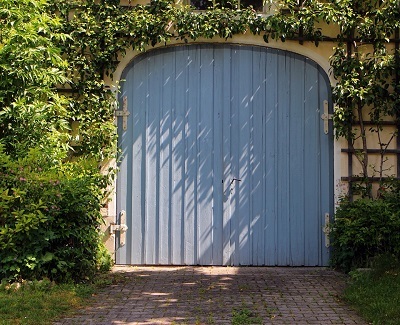 Why homeowners are going crazy about redesigning garage doors?